It was a strange kind of morning. One moment there was bliss - fresh morning air, blue skies, and almost complete silence except for birds’ harmonious singing - the next chaos with the serenity shattered by the sound of hunters’ guns going off nearby. Sadly, such is bird hunting season in Malta where an early morning walk can be constantly peppered with reminders others’ destructive hobby. Fortunately, it was about to get better, as it often does when the search for a chapel I’d heard about is fruitful. 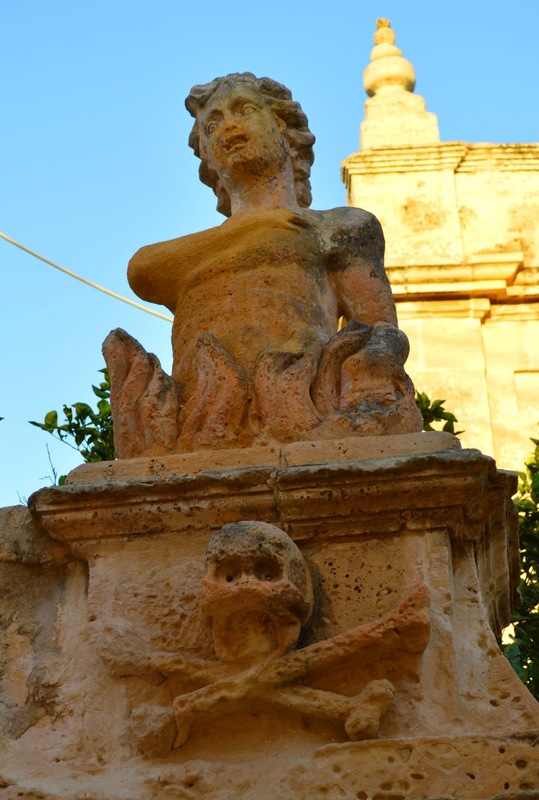 Not that the one dedicated to St Luke the Evangelist in Zurrieq is a particularly difficult one to get to but rather, given that it is hidden away in a narrow side-street, it is easy not to notice it at all. What is perhaps more difficult to miss is a bust at the edge of the chapel’s parvis which represents a soul surrounded by flames. 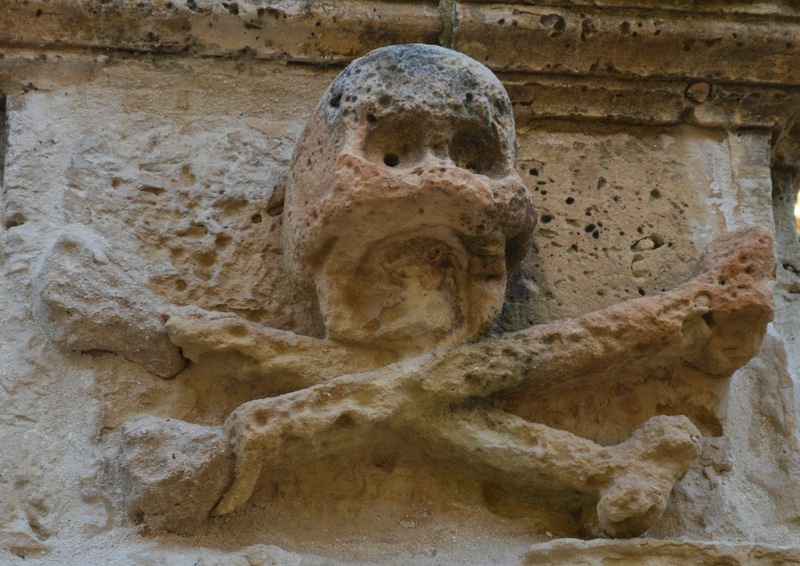 Slightly beneath the bust is a carving of a skull and crossbones all of which, according to one theory, is down to the possible presence of a cemetery in this area the memories of which have since faded. 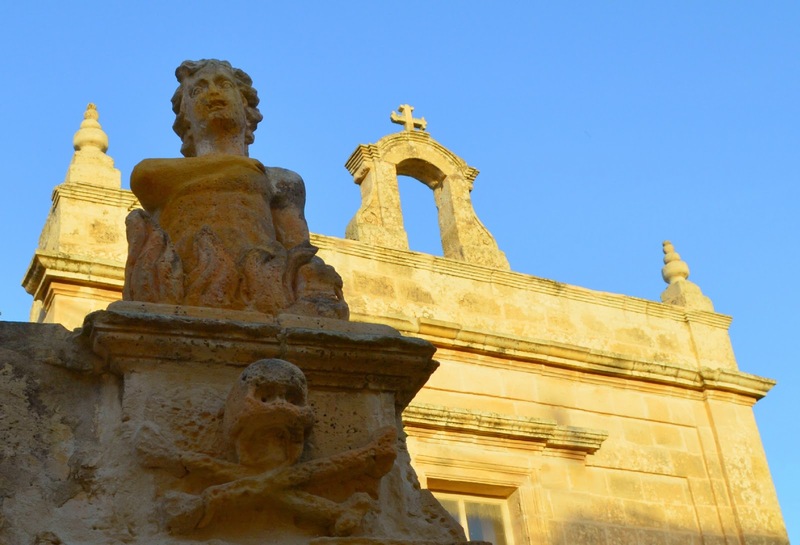 The chapel itself was originally built in the 15th century, as there are notes of it being donated by benefactor Luqa Zammit in his will that was dated in 1460. 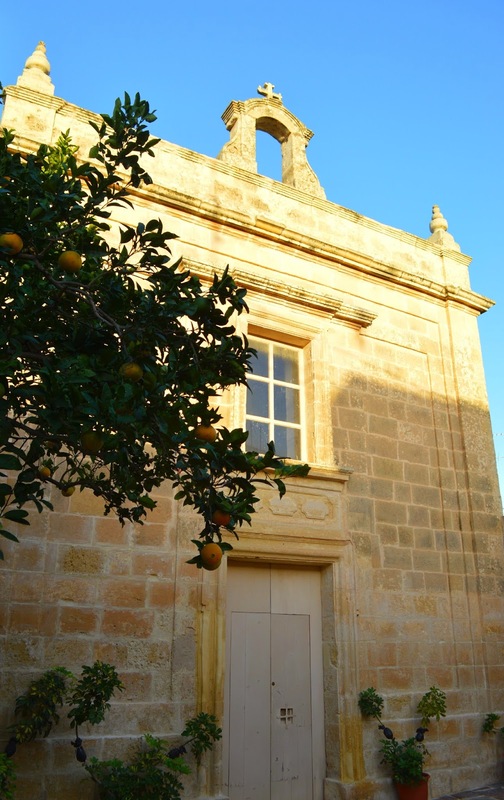 However, the current structure owes much to the Reverend Gwann Zammit who oversaw the rebuilding of the chapel in 1814. Today it remains there, thanks also to some recent restoration, surrounded by houses on both sides and seemingly hidden away from the rest of the world. Want to visit the Chapel of Saint Luke? Here are the directions.